It's a good thing that Valentine's Day is now considered a 'family' holiday that kids can join in. It definitely makes us busy parents feel better, especially when date night seems far in the future! 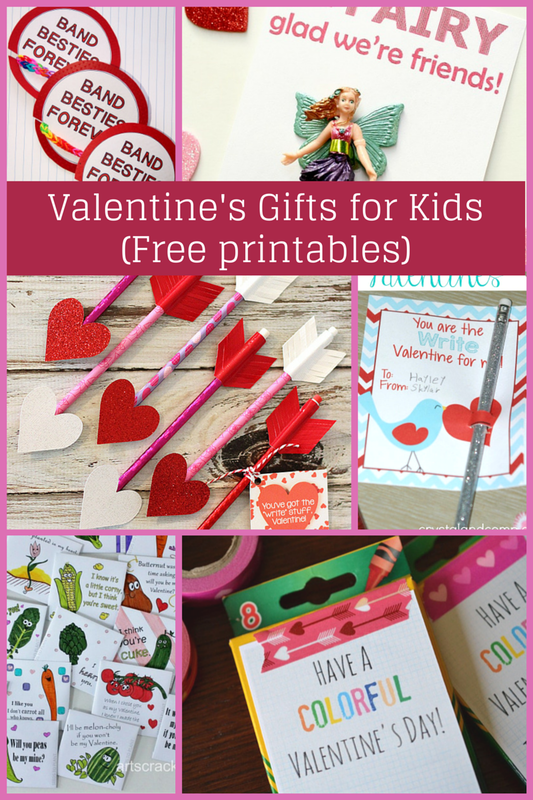 In any case, there are so many fun activities and crafts for kids to do on Valentine's. And let's not forget school celebrations where they may be expected to bring something for classmates. Or, they may just want to do something special for their friends. Now, here's a list that can help you get through V-Day with little effort! 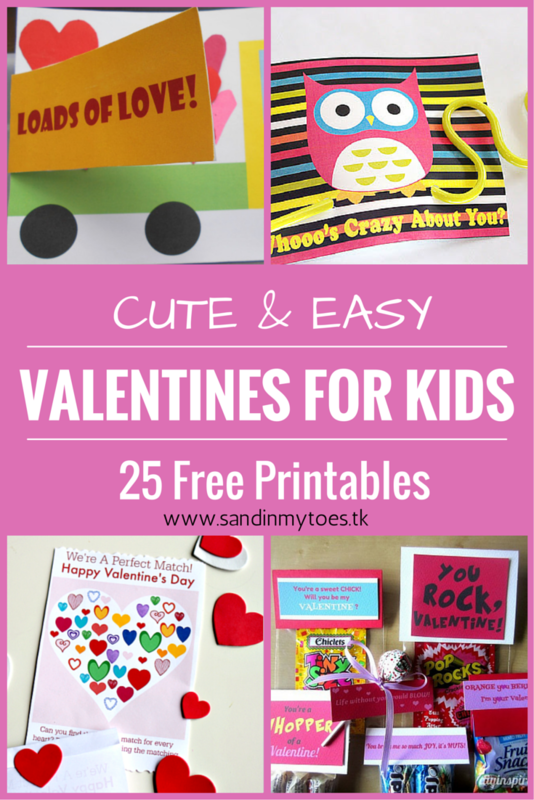 It has twenty-five free printables for Valentine's Day that kids can make fairly quickly. Even if you wait until the last minute, you can still pick a few of these and be ready on time. And with so many ideas, you are bound to find something your kid likes! Our own Truck Valentine's Card. Dinosaur Valentines from Coffee Cups and Crayons. Lego Valentine's Cards from JD Daniel's Mom. 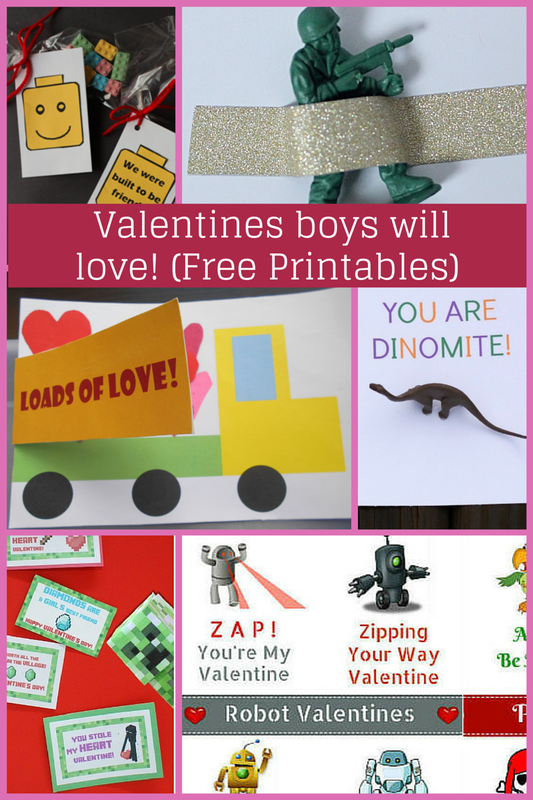 Valentine's Cards for Boys from Brain Power Boy. Soldier Valentine from Love and Marriage Blog. Minecraft Cards from Beer and Gluesticks. Colouring Valentines from Kids Activities Blog. Valentine's Activity Card from No Time For Flash Cards. Bee Valentine Card from Mom Endeavors. Owl Valentine from Happiness is Homemade. 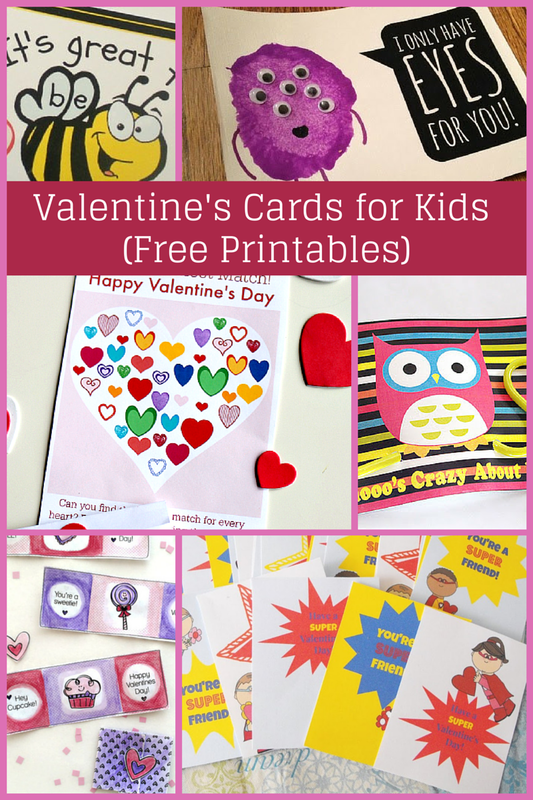 Monster Valentine's Card from Tutus and Tea Parties. Superhero Valentine's Cards from To The Moon And Back. Lollipop Valentine from Crystal and Comp. Gummy Bear Valentine from Meaningful Mama. Donut Hole Valentines from Hands On As We Grow. 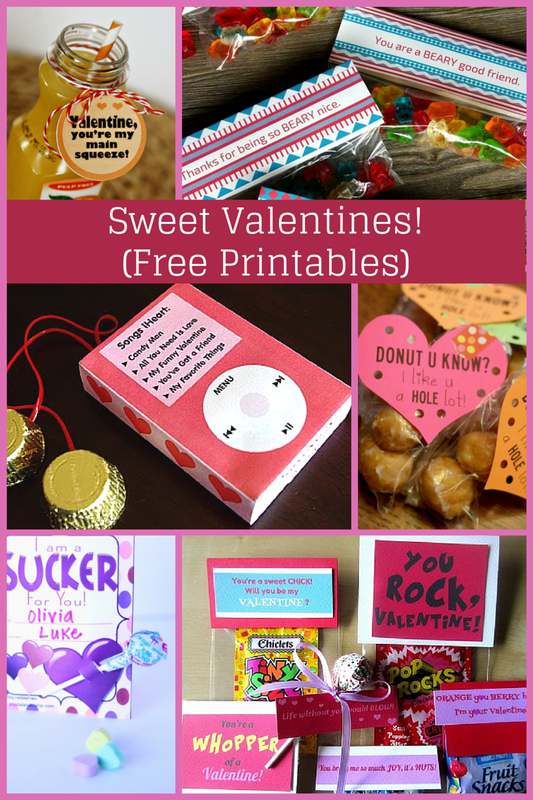 Candy Valentine from DIY Inspired. Juice Valentine from Seevaness Craft. iPod Candy Wrapper from Happiness Is Homemade. Pencil Arrow Heart by Happiness is Homemade. Fairy Valentine by Fantastic Fun and Learning. Pencil Valentine's Card by Crystal and Comp. Crayon Valentine by Glued To My Crafts. Gardening Valentines by Arts Crackers. Bracelet Valentine by Kids Activities Blog. And if you need something super quick, check out this collection of 15 free Valentine's bookmarks, all with free printables on The Jenny Evolution. So, get started printing, and have fun this Valentine's Day! Great, hope you have fun! I JUST bought my kid his... darnit!! I'm still gonna look around and print some of these for future use. THANKS!! They are so adorable! We'll probably have a living room date night too!